Is Honey A Cancer-Killing Agent? Most of us know honey as a sweet treat, but few are aware of its powerful cancer killing properties. The science has never been clearer: flaxseed deserves to be top of the list of the world's most powerful medicinal foods. For just pennies a day it may protect against dozens of life-threatening health conditions. 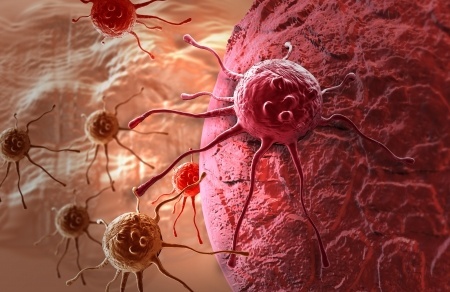 Antineoplastons: A Cure for Cancer Ignored for 45 Years? Could a cure for advanced, chemotherapy and radiation resistant cancer have already been discovered as far back as 1967? Could this curative substance have been so close to us for all this time, as to be part of our own blood and a constituent of our own urine? Could 89% of Landmark Cancer Research Be Untruthful? There is solid evidence suggesting that the greatest part of the clinical healthcare and medical system has slowly been established on corrupted foundations. Just a cup a day of these tiny treats helps fend off heart disease and cancer. When conventional cancer medicine fails to produce positive outcomes, a humble little seed comes to the rescue. How can one food group offer so many incredible health benefits, from preventing heart attack, stroke and dementia to protecting you from the flu? The answer is phytonutrients, and berries are simply loaded. Reading this "berry primer" will have you snatching them by the handfuls. The National Library of Medicine: Pizza is a Health Food! Doctors, patients, and readers are often completely confused about fat, clinging to misguided misinformation that prevents them from understanding the latest science to lose weight and achieve optimal health.